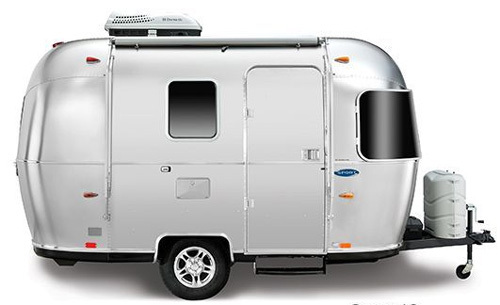 “Bambi” travel trailers represent Airstream’s family of small, single-axle campers ranging in length from 16ft to 22ft; being easy to tow and comfortable they gained popularity among nature enthusiasts…. The first Airstream’s Bambi camper was lunched back in 1961. It was a 16ft long rounded-shell design that with time only gained popularity thanks to nostalgic sentiments of new generations of customers. Although the single axle is a defining characteristic of new Bambi campers, their real signature is the rounded-shell closely resembling the shape of the original Bambi travel trailer. However what makes them different from their predecessor is the modern design for maximum utility and comfort. Sport – 16ft model proves that “great things really do come in small packages”. This smallest Bambi thanks to lightweight design offers outstanding fuel efficiency, but it is also surprisingly spacious and comfortable. The bedroom with 78” x 48” bed is located at the back of the trailer and offers not only a sleeping place for two persons but also privacy and entertainment (LCD TV in mounted on the wall, so when a cloudy sky prevents watching the natural spectacle of stars you can watch your favourite TV programs. Two hampers are handy for all kind of stuff you would like to keep handy in the bedroom (for everything else you have a large storage space under the bed!). 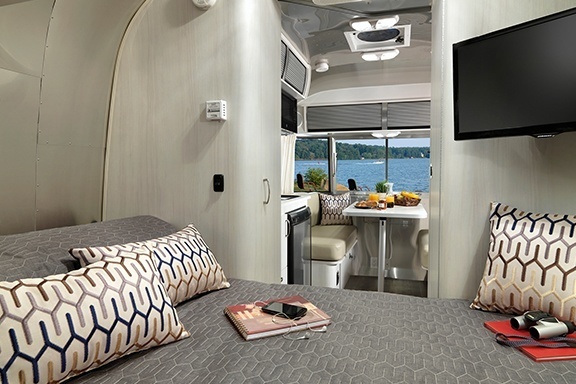 The front-end dinette (itself 40” x 91”) offers a lovely place not only for lunch or dinner – a large front window provides a lot of light and panoramic views when in the nature (just think sipping morning coffee and watching some unspoiled, scenic view that only the Mother Nature can offer! However when it’s needed, the dinette can be converted into one more sleeping bed with decent dimensions (74” x 48”). 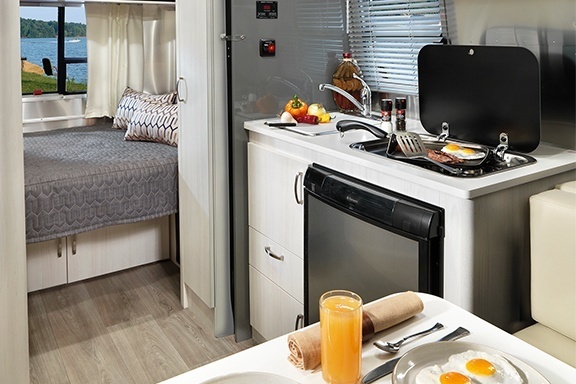 The galley includes a 2-burner cook-top, 3 cu. feet refrigerator, sink w/faucet and cover and cabinet with drawers. The closet between the galley and the bedroom offers storage for clothes (but not only). 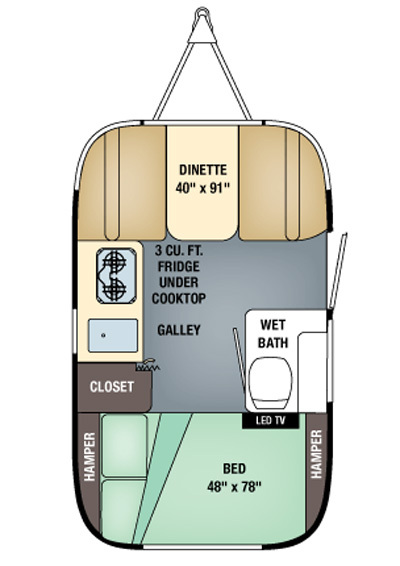 Finally, to make the camper “residential-like” , you will also find the wet-bath combining toilet and shower. All that is finished with taste underlined by a pallet of natural colors and tonal fabrics…..